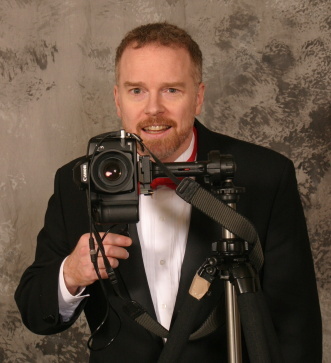 Peter Klosky has 25 years experience as a photographer, serving both as a photojournalist serving the Press Corps on assignment for publication and as a Wedding and Portrait photographer for Washington area families. Peter has had more than 500 news photos published in a variety of publications including the Washington Post newspaper. Peter photographed Presidents Obama, Bush and Clinton at a number of political events. Previously, Peter photographed past presidents, members of Congress, members of diplomatic delegations, Hollywood celebrities and many others on a variety of assignments. After establishing himself as a news photographer, Peter found that his services were also in demand to cover weddings for families. As Peter grew into this line of work, he found that he enjoyed creating portraits and a romantic journal of a couple's wedding day even more than a "hard news" event, and proceeded to study portrait photography in earnest. Peter has considerable experience and training, having photographed over 1000 weddings and having studied under dozens of master photographers. After 25 years perfecting his technique, you can be sure that Peter Klosky is ready to serve your needs. Call for a free consultation and detailed quote.